When asked, as a foodie (or food blogger), what my favorite breakfast dish is, I would say, there are two - eggs and oats. These two were the dishes that pulled me through my college years, when hot meals prepared quickly in the morning were essential. And when I eventually had a family of my own to manage, the two have always been present in our daily breakfast. A staple breakfast for us would be cooked oatmeal (sometimes chocolate oatmeal porridge) and fried rice with eggs plus dried fish or beef tapa. Undoubtedly, breakfast is the most important meal of the day. Agree? Filipinos' breakfast of rice with eggs paired with other "ulam," thus can not be compromised. However, this has become a bit of alarming to many, as the rise of diabetes cases and other health issues related to eating rice have become prevalent. We do have a juvenile diabetic in the family. 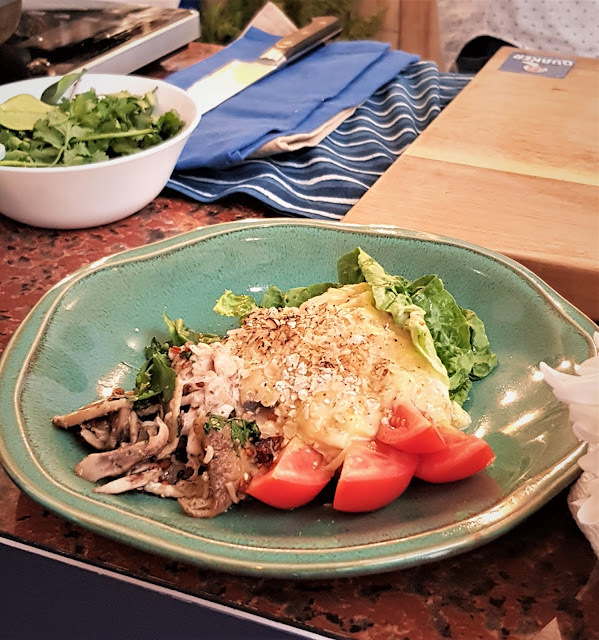 My 15 year old daughter was diagnosed with the disease when she was five, since then, I have made it my personal intent to look for alternatives to rice and refined sugar. One of the most versatile grain to replace rice with is the oat or oatmeal. What if I told you, you can start your day with sardines, tapa or longanisa in a more nutritious way? 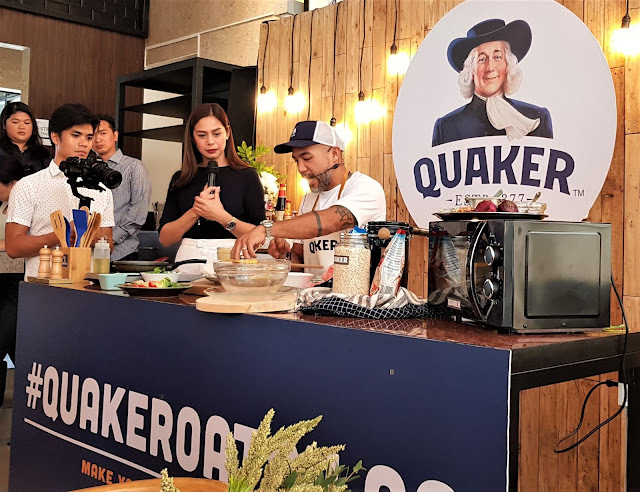 Quaker Oats introduces a new way to make your breakfast super, with their Oatsilog recipes! With Chef JP Anglo's help, together with the lovely cook herself, Bettina Carlos, over at an event which happened last week at LubD Makati, I learned a few more dishes which would level up our breakfast deliciously. By filling up your first meal with Quaker Oats, you’ll get the nutrients you need to power through your day. A Super Grain, Quaker Oats contains fiber to help keep you full longer, protein to help give you energy, and beta-glucan to help lower cholesterol for your heart health. With all these, Quaker Oats prove to be a healthy and equally delicious alternative to your go-to cup of white rice. *Beta-Glucan is a soluble fiber that is naturally present in the Bran of Oats. Quaker whole grain oats are a source of Beta-Glucan which help reduce cholesterol. Amount recommended for cholesterol lowering effect is 3g/day. Beta-Glucan from oats can help reduce blood cholesterol levels if it is accompanied by a diet low in saturated fat and low cholesterol. For more information on Quaker Oats and a full library of Oatsilog, visit www.quakeroats.ph. Procedure: In a mug, beat eggs together with milk and oats. Add in the rest of the ingredients and season to taste. Microwave for 1 minute. Stir all the ingredients and microwave for another minute. Top with chopped parsley. Ready to serve. Want to use Quaker Rolled Oats? Simply extend microwave time to 5 minutes. Procedure: In a mug, beat together eggs, milk and oats. Add in the rest of the ingredients and season to taste. Microwave for 1 minute. Stir all the ingredients and microwave for another minute. Top with parsley and serve. Procedure: In a mug, beat together eggs, milk and oats. Add in the rest of the ingredients and season to taste. Microwave for 1 minute, stir all the ingredients and microwave for another minute. Ready to serve. 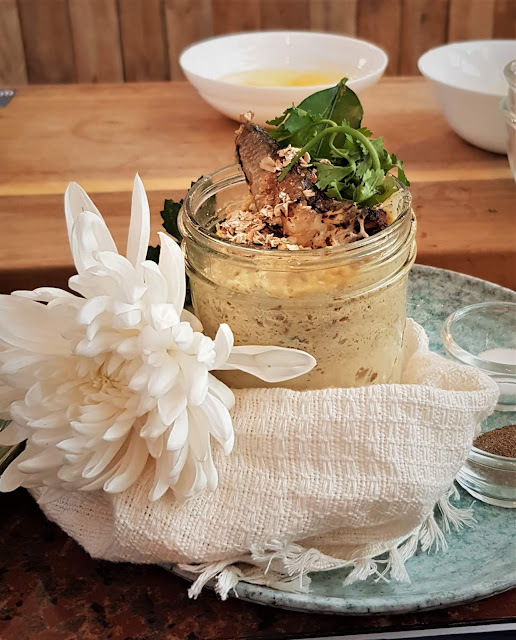 I have a long and lasting relationship with oats, you see, and below are some of the recipes I have tried .making using either the Quick-cooking or instant oatmeal, cause I'm just crazy about our family's health and that of using oats in our diet, I have been making oat flour to substitute for regular flours.